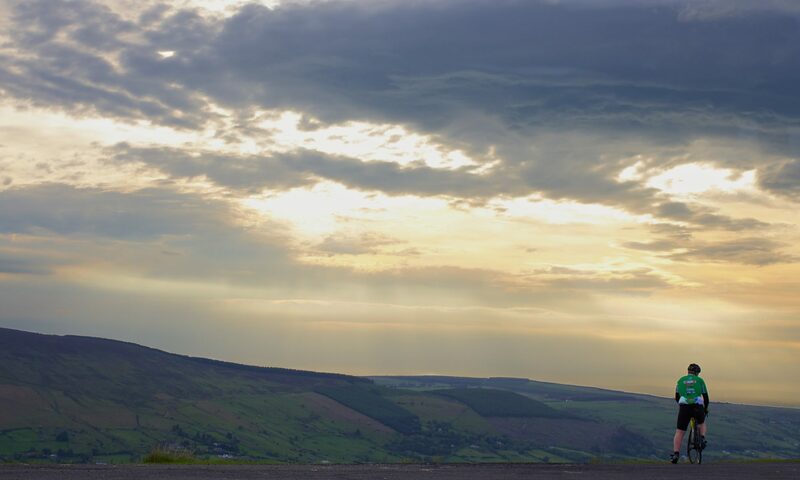 Turn night into day with a seriously good value for money bicycle light that rivals products 10 times its cost! I’ll start off by saying that the lumen ratings are slightly off, the ratings are the best possible outputs with the components they used and not a true representation of the light output. 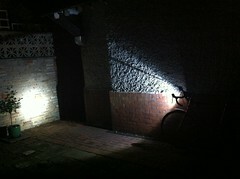 The 900 lumen lights put out closer to 500 lumens. That is still a good amount of money for the cost of the light! The Magicshine range of lights are far from a perfect product, if you can work around the slight issues then the light can be a great one. The lights primary design is for off-road. This is clearly visible in the beam pattern that it produces, it is fairly wide and is not ideal for using on the road, especially at full power. 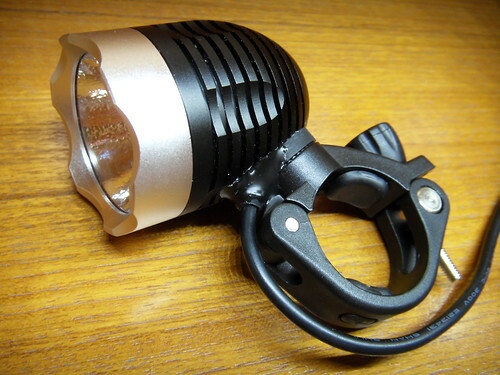 For commuting purposes you can get around this buy using it on the half power setting or by pointing it only 2 meters in front of you, this means that any light going to the driver is not the focused beam and shouldn’t dazzle them. There have been many complaints that the unit gets hot when at a standstill. I personally don’t think this is a problem, it’s generally a good indicator that the thermal paste is working. The unit has been designed to keep cool by the passing air, when you stop the air doesn’t pass it and the unit heats up. The main downside of me is the mode switching, it’s a simple button press on the back of the unit to do everything, but the off mode is included in the other options, which means to do a full cycle you need to turn the unit off. Not the best thing when you are cycling off-road at night! The mounting bracket isn’t the best, it’s a rubber bottom with a rubber o-ring that keeps the unit tight on the handlebars. It is good because it is easy to put on and remove but bad because it won’t keep the unit secure on the handlebars. Lots of users have complained about the unit moving around whilst going over a bump or similar. I get around this by mounting the light under my handlebars but others have got around this by modifying the mount and adding on a cam based bracket which is much more secure and just as quick to remove. It is a fairly simple task to do, simply a single screw to remove the standard mount and then add the new mount with the screw. Something to consider is the battery pack, it’s an external based one which you need to charge at the mains, no simple AA batteries for this unit. Luckily on the back of the light is an indicator of how much juice is left and if you go for the waterproof case then that also has a volt meter on it. With a light of this power and a batter like this you really need to get a good charging routine thought out if you are going to use it regularly on the commute, the last thing you want is this to die on a dark lane! An important factor is the charger, if you buy from outside the UK you will probably get an american pin charger. I found it difficult to find an adapter which it fitted in properly due to the chargers design and the adapters design they never gelled properly. It also doesn’t perform quite the same as the 3 pin plug, so definitely worth investing in a 3 pin charger for one of these if you are in the UK. The cost of these devices can vary massively depending on where you buy them from. You can get them cheap as chips if you buy one from deal extreme but the delivery time can be several weeks due to the way they work. Buy from the UK re-seller or from ebay and you are looking to pay more but it’s still a great price for the power the light puts out. There are a few variants of the MJ-808, the best one in my opinion is the 3-mode unit with the waterproof battery pack. It’s the most reliable and has the best battery. I use this light for commuting all year round, it stands out from every other cycling light and makes the Hope Vision 1 look like a child’s toy. A great value light for all kind of uses but be careful if using it on the road, you can easily dazzle other road users . Just how big is the battery pack? I saw it mentioned somewhere that you could strap it underneath the stem or the handlebar. At £80ish it’s probably better value than the Hope 1. Next PostNext What to do when your front wheel is stolen?